World-renowned artist Maggie Kneen has taken her inspiration for Old English Tarot from the medieval English manuscript Luttrell Psalter, written and illustrated in the 14th century by Sir Geoffrey Luttrell. The detailed images, ranging from peasant life to religious scenes, provide a visual reference for everyday life in medieval England. 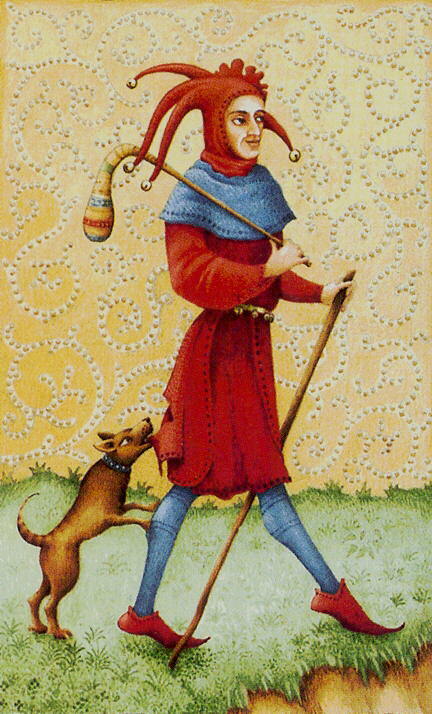 Its richly patterned, heraldic borders and distinctive colors schemes directly inspired Old English Tarot. This unique deck invites you to relax and let your imagination explore a long ago era when possibilities were endless. It inspires a tranquil atmosphere for readings and meditation. Kneen is best-known for illustrating children�s books including Christmas in the Mouse House , and Chocolate Moose .